During the decades of his world fame as sage & preacher as well as author of War & Peace & Anna Karenin, Tolstoy wrote prolifically in a series of essays & polemics on issues of morality, social justice & religion. These culminated in What is Art?, published in 1898. Altho Tolstoy perceived the question of art to be a religious one, he considered & rejected the idea that art reveals & reinvents thru beauty. The works of Dante, Michelangelo, Shakespeare, Beethoven, Baudelaire & even his own novels are condemned in the course of Tolstoy’s impassioned & iconoclastic redefinition of art as a force for good, for the improvement of humankind. 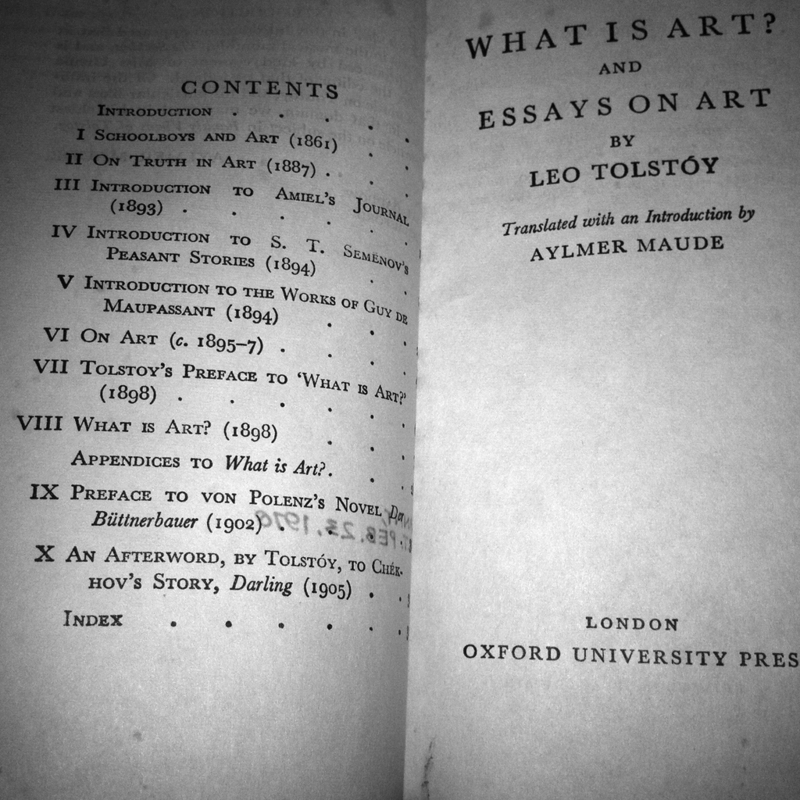 In What is Art?, the most important of his essays on aesthetics, Tolstoy examines various definition of art, all of which for one reason or another he finds unsatisfactory, and discusses the function of art in classical Greece, and medieval and post-Renaissance Europe, analysing the differing criteria by which each age has judged its own art. He then puts forward his own definition, that art is ‘an activity by means of which one man, having experienced a feeling, intentionally transmits into others’, adding as corollary his own criterion for distinguishing good art from bad, namely that the feelings so transmitted must be accessible not only to the sophisticated, but also to the humblest of men. This volume also contains other essays on art and literature, valuable for the light they throw on the development of Tolstoy’s thought. What is Art? was first published in 1898. 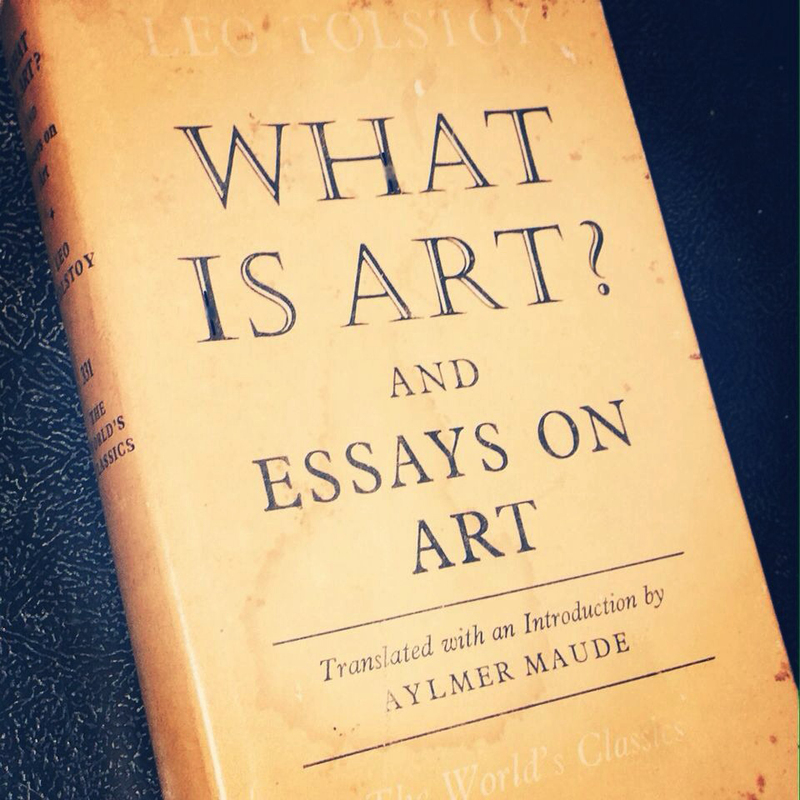 You are currently reading Leo Tolstoy: What is Art? (1896) at IvyU.